Utilise your existing custom SSL certificates or allow SynEdge to provide you with the full end to end solution ensuring full secure transactions for your user base. Target your content to users on geographic location ensuring that right product is available to the right person in the right territory. 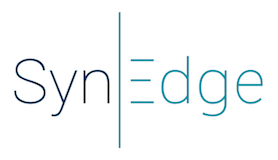 SynEdge has developed an analytics platform that allows you in-depth insights to audiences and their behaviour therefore granting your business the opportunity to grow with the latest transactional trends. Web crawlers and especially search engines will rank your products links higher in their pages so your SEO strategy can and will benefit too.